On March 4, the Ministry of Interior (MoI) and the UN Refugee Agency (UNHCR) launched a new campaign to formalize the status of Syrian refugees living informally in Jordan’s urban areas. This news is great for the many Syrian members of our community. The campaign, intended to run until September 27, 2018, is aimed at Syrian nationals who have left refugee camps without a leave permit before July 1, 2017, and haven’t returned since then. It also includes Syrians who have entered the country without registering with the UNHCR. Out of the 1.4 million Syrians living in Jordan, around 655,624 are registered with the UNHCR, 80% of whom live in urban host communities outside of camps. Likewise, a large number of refugees have left the camps to live in urban areas without declaring their new situation, leaving them out of the official sphere. These trends have produced a number of issues, mainly in the Syrians’ access to services and assistance from the government and international organizations. “Over the past few years, we have seen how refugees living in the camps have moved to urban areas for different reasons without following the available regular channels. 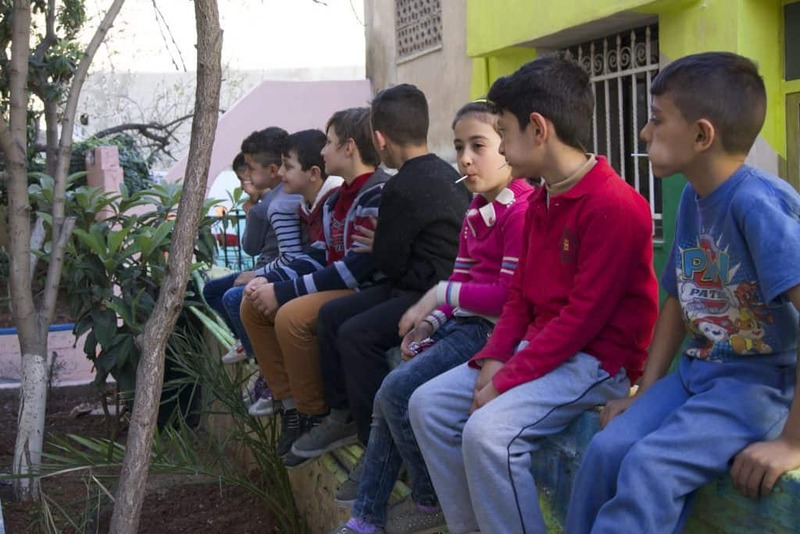 Living without updated documentation in urban areas has limited the access of this population to key services such as healthcare,” said Stefano Severe, representative in Jordan on UNHCR’s website. According to a recent study by the UNHCR, nine out of ten Syrians living outside camps live well below Jordan’s poverty line of $87 (USD) per capita per month. In exchange for millions of dollars from donor countries to help Jordan cope with the refugee crisis, the country has pledged to integrate Syrians into the labor market. Much to the delight of local organizations, this grace period gives Syrian refugees a real opportunity to rectify their resident status in accordance with Jordanian laws. These will protect them from future prosecution, and make them eligible to access basic needs such as healthcare and employment. “By rectifying their status, Syrian refugees in Jordan will be able to benefit from the protection and services provided by the UNHCR and its partners in the country, improving their lives, while also being able to stay formally in urban areas,” Severe added in his statement. In order to benefit from this campaign, Syrian refugees are called to approach the UNHCR’s offices in urban areas (Irbid, Mafraq, and Amman) or any UNHCR helpdesk across the country. The services are free of charge, and will allow Syrian refugees to complete the regularization process and obtain a service card from the Interior Ministry at the nearest police station. This card will grant them an official residence permit. On the ground, however, things are not as simple. Sara, one of our volunteers at CRP, from Syria, arrived through informal channels from Azraq’s refugee camp, and did not register with the UNHCR. She learned about the rectification of status through family connections, and went to the UNHCR office here in Amman early one Friday morning when she first heard about the change. Sara at her desk in CRP’s youth and education office. Because of the vast number of refugees claiming their rectification of status, she was told she was too late and had to come back another day at “two, three, or four o’clock in the morning,” with no further information. This is where CRP steps in, and why it is so important to the refugees we serve. We provide them with correct information about these services, helping them fight the uncertainty created. This is done through our new Facebook page, purposely translated in Arabic: “CRP in Arabic”, and through precious signs around our Family Resource and Community Center. Besides correct information, we also give refugees an opportunity to fight the boredom emerging from these long waiting procedures through our educational and recreational activities. To help refugees cope with the long waiting process through meaningful classes and activities, donate here! Next articleCRP’s Women Get Moving First Thing Sunday Morning!